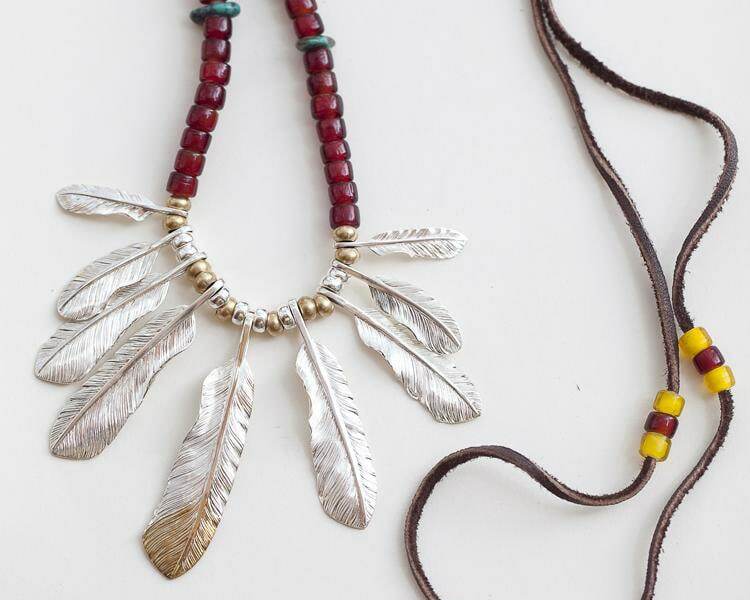 The silver feather pendant is a design inspired by Native American jewelry making traditions. So, you get realistic feather details. 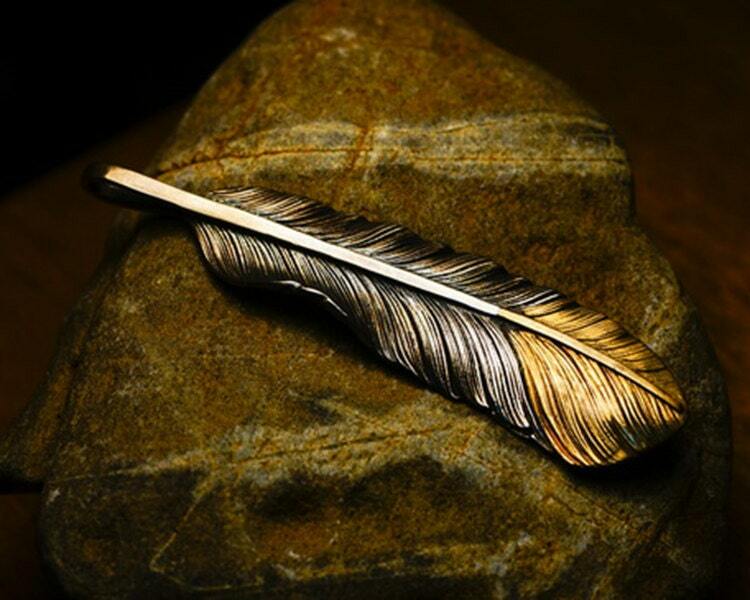 A sturdy central quill forms the backbone of the feather, each strand radiates from it outwards in rich detail. 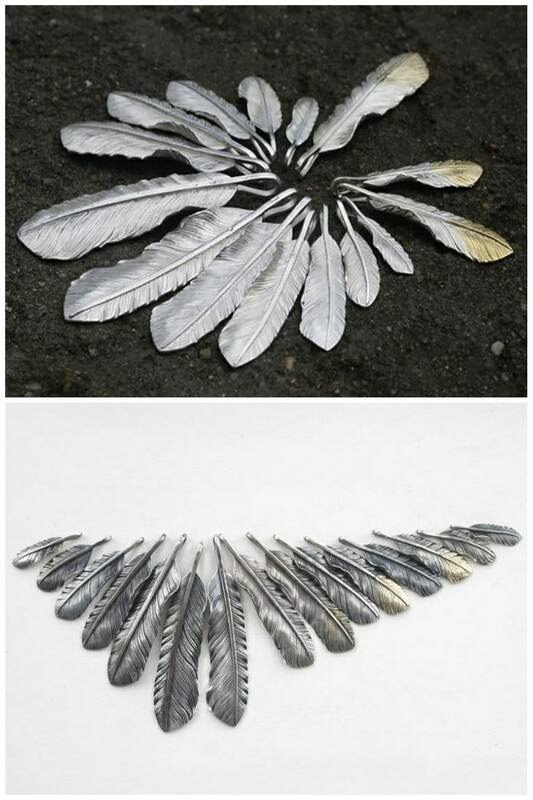 Available in three sizes - S, M, and L, closely based on actual feather sizes of a Red-Tailed Eagle. 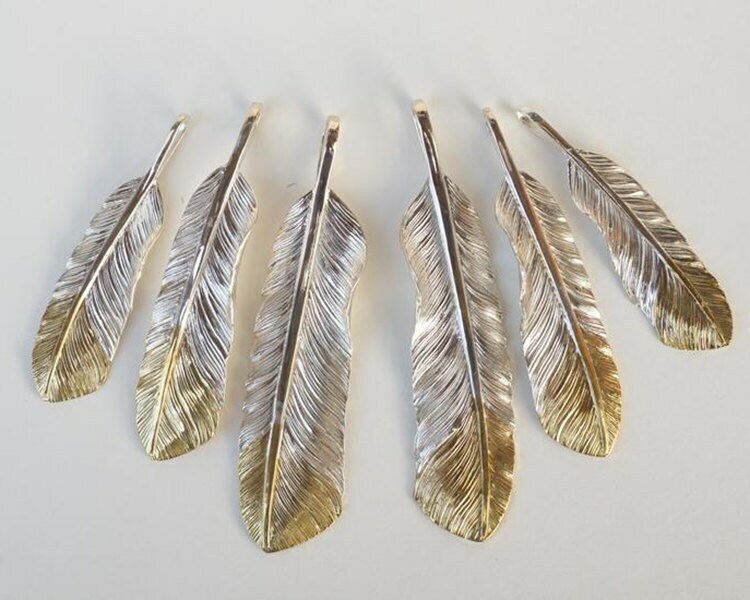 The Eagle silver feather pendant is handcrafted in sterling silver - with a tip of solid 18K gold. 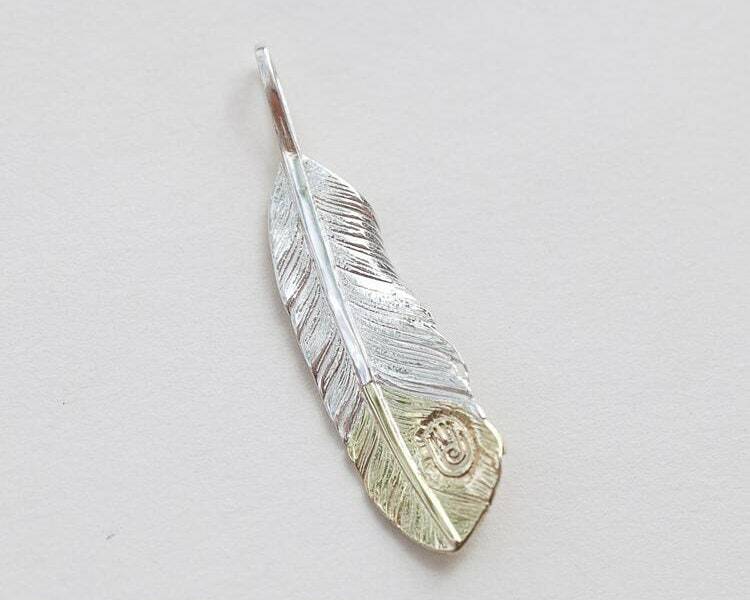 We also offer the feather charm in a combination of silver and brass. The pendant is available two different finishes: original, shiny silver finish, and oxidized silver finish. Einfach nur wunderschön.Sehr schneller Versand. Wonderful shop with beautiful pieces! Thank you again so much for shipping this out so quickly!